Several sinus symptoms may signal that you need medical treatment, These symptoms, alone or in combination, may indicate that your sinuses are blocked, that you have sinusitis, or that you have a sinus infection. Your doctor may prescribe any number of treatments if you are diagnosed with sinusitis or a sinus infection. If none of the treatments are effective, you may need to consider sinus surgery to improve your breathing and other sinus symptoms. If you have insurance, the cost of sinus surgery will likely be covered, so long as non-surgical sinus treatments have not been effective. However, you may still be responsible for a deductible and/or co-insurance. The good news is that modern sinus surgery usually costs less than traditional sinus surgery. The sinuses are a linked network of hollow cavities that reside in the front portion of the skull. There are four sinus cavities and the sinuses contain a lining of soft, pink tissue called mucosa. Modern sinus surgery can improve breathing and effectively alleviate other sinus symptoms through a technique called functional endoscopic sinus surgery (FESS). During FESS, small scopes with high-definition cameras attached are inserted into the nose, and an image of the interior of the nose is projected onto a TV screen in the operating room. Your sinus surgery recovery begins as soon as you get home, where you will need to lie in bed with your head elevated and apply an ice pack wrapped in a towel, to prevent excessive bleeding. During your recovery you will return to the doctor’s office for one or more follow-up appointments, so that your surgeon can remove any nasal packing and do other follow-up things to check your progress. With trouble breathing, headaches, stuffiness and tooth pain, sinus problems make it challenging to enjoy life. 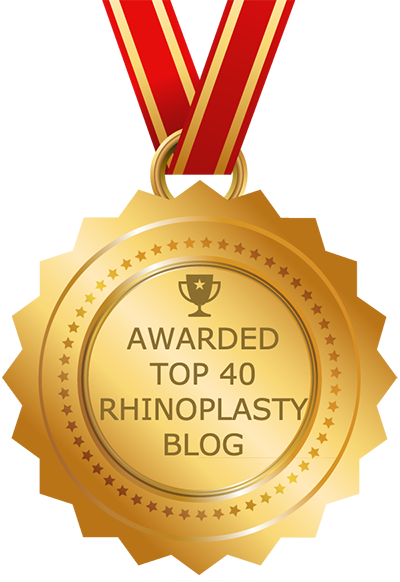 Rhinoplasty-pedia provides a detailed guide to sinus infection and how you can combat it. Learn about sinus infection symptoms, treatment options and professional help. Living with sinus problems can be difficult, but it does not need to be permanent. View our detailed guide to sinus infection and recovery. Though sinus surgery can correct nasal and sinus infection, there are a few complications patients should be aware of during sinus surgery. Read about common issues that occur in most patients such as fatigue, congestion and nasal obstruction. As well as potential risks such as bleeding, change in smell and taste. Get started on your road to relief by scheduling your sinus surgery consultation with a board certified surgeon. Learn about how you should prepare for you consultation and questions you should ask your surgeon. The road to sinus relief is finally here.